It&apos;s nothing to stunt if you&apos;re the Pretty Boy. Floyd Mayweather took to Instagram Sunday to show off his latest purchase: a necklace and ring worth at least $10 million. TMZ says the former champ is sporting a ring that features "50 carats and smaller necklace is made of 74 diamonds, each one being three carats each." Mayweather&apos;s representative told TMZ that the collection was valued as high as $15 million. 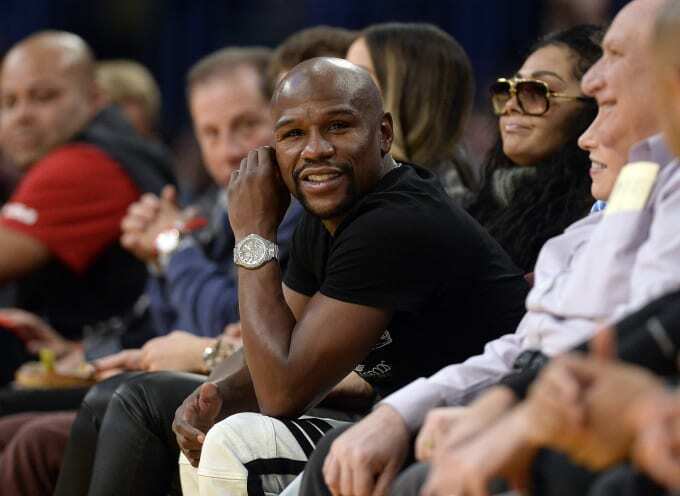 And this concludes our latest post on how Floyd Mayweather is flourishing at life.